A revocable living trust, “RLT,” is a typical answer for avoidance of probate. The RLT is a viable solution for many people for the following reasons: (1) avoidance of probate; (2) privacy – probate is public record; (3) continuity of management of assets; and (4) tax planning, which is less common today. However, the following options may also help you avoid probate. Transfer on Death Deed for real estate. In Texas, and many States, you can use a Transfer on Death Deed for your house or other real estate to automatically pass to another person or persons without needing to go through probate. For most people, the largest value item of their estate is the home. The transfer on death deed utilizes a form of beneficiary designation. By automatically transferring ownership rights in real estate to a list of beneficiaries, you can avoid probate for your home and/or other real estate. Using the “Rights of Survivorship Ownership Agreement for a Motor Vehicle” or “Affidavit of Heirship for a Motor Vehicle” from the Texas Department of Motor Vehicles. In Texas, and many States, you can utilize forms to be filed with the department of motor vehicles to designate who should receive your vehicle upon your death. These forms use joint ownership with the “magic words” – “Right of Survivorship.” The right of survivorship allows the rights of the owner that is deceased to pass automatically to the other party or parties without the need of probate. Many times, a simple beneficiary designation can help you avoid probate when transferring certain assets. For instance, life insurance beneficiary designations can allow you to name several successive sets of people to inherit your insurance proceeds. In addition, you can utilize beneficiary designations for investment accounts and bank accounts (may be called “pay on death,” “transfer on death,” or something similar). Joint ownership can be a tricky or problematic approach to avoidance of probate. If the appropriate actions are not taken, magic words are not in the right place, or advice is misunderstood, the entire plan of joint ownership can fall apart. Many times, we hear of joint ownership being used for bank accounts, but often the other person named on the account is not an owner. Instead, the other person is only listed as an authorized signer, which is not enough to pass the ownership of the account outside of probate. Furthermore, for joint ownership to automatically pass ownership of property to another person, a right of survivorship must be included in the joint ownership. 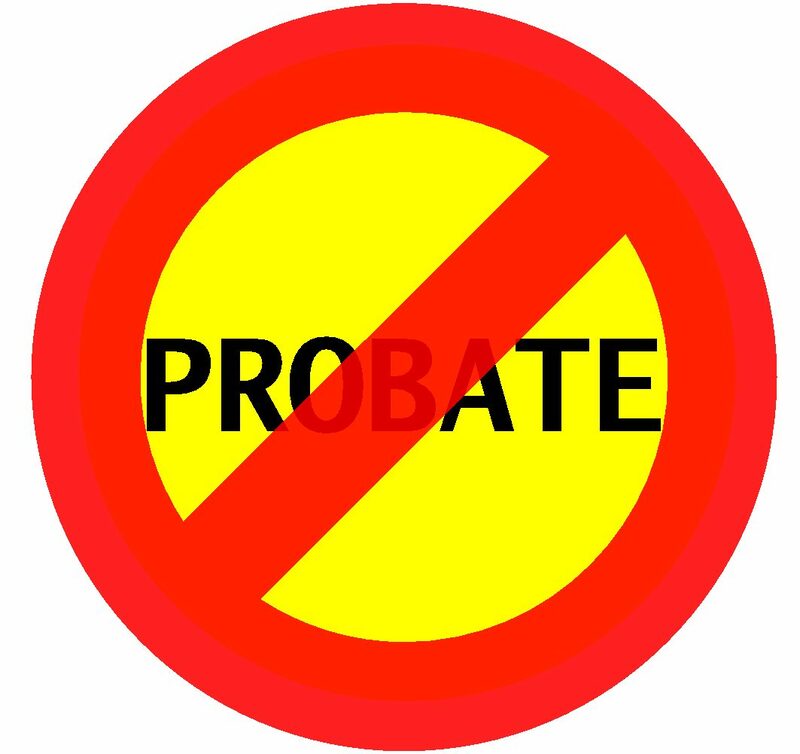 With any strategy to avoid probate, a very important, and critical, element is to be sure that every asset that would need to go through probate has a designation that will automatically transfer the asset to someone else at your death. Call us today at 877-622-5840 to schedule a consultation. We have been counseling people for over 30 years through complex financial and legal plans. Furthermore, we have a board-certified* Tax and Estate Planning & Administration attorney to ensure your plan is right for you. A failure to properly plan can lead to extensive legal costs.